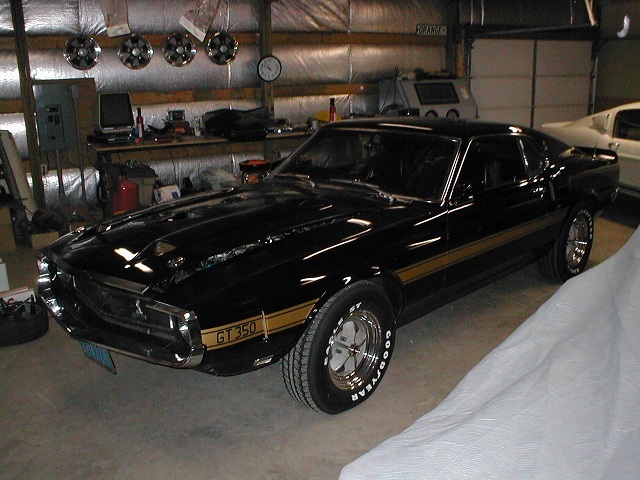 1969 Shelby # 9F02M481088 started it's journey as a Black Jade, GT350 4 speed car. 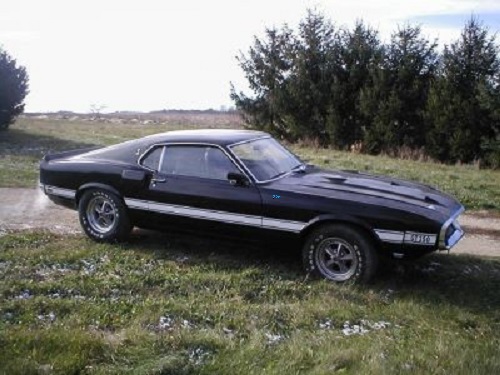 It was originally sent to Town and Country Ford in Charlotte, North Carolina. One of the previous owners treated the car to a Raven Black paint job sometime before I purchased the car. It is an original drivetrain and original body panel car. When David Long, Conelec's founder, offered to assist me with the installation, I immediately volunteered #1088. 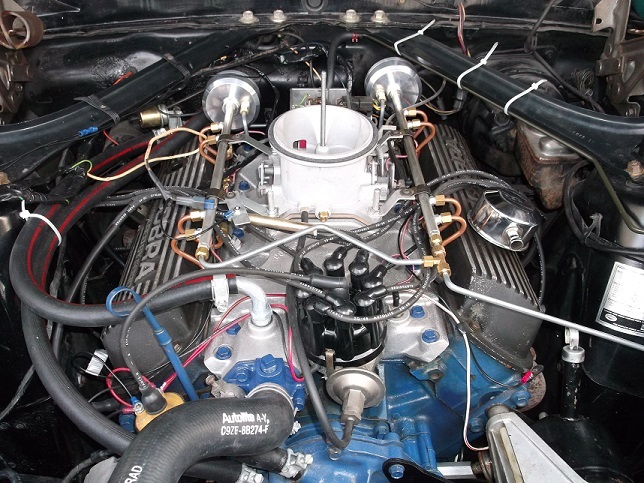 The original carburetor and intake were removed, cleaned and stored for future use. The Conelec EFI system as installed in October of 2013 with the assistance of David Long. It is believed this is currently the only working example of the system.The first time I saw some of these parts was when they were installed on the car. Long taught me several techniques for tuning the car. The car is currently undergoing a minor face lift. I awlays disliked the gold, painted stripes. So, I sanded them off and replaced them with factory white stripes. I do like the contrast. I also cleaned the grille area and resprayed it with the proper dark argent color. The Conelec fender badges were recreated from the last remaining example. This is the original Conelec EFI fender badge.